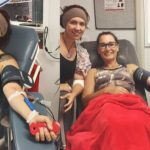 In January, I gave blood for the 2nd time in my life, I did take a friend for support. Did it hurt? Just a teeny bit, but nothing compared to what the people who need my blood are going through. That donation sparked my interest in the volunteers that give up their time to make you feel welcome, comfortable and appreciated after you have been completely drained of all red blood cells. Before we meet some of the amazing volunteers, I want to mention that each one of them told me that “the real angels are the people who regularly donate, they are true heroes!” These volunteers give up their time weekly to make sure that you are ok after you have given the gift of life, so let’s find out a little more about what they do in their spare time. 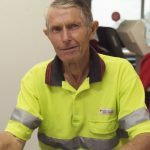 Roy started helping at the blood centre soon after his wife started volunteering in 1982. Currently, Roy puts together the boxes for the transport of the blood to other places by assembling them and adding labels. It may only be 3 hrs per fortnight, but it is a job well done, and appreciated. 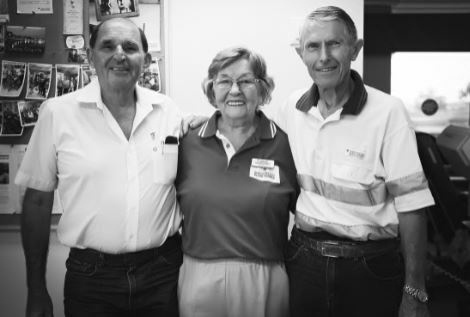 Roy’s kindness doesn’t just stop here, he is also the president of Evenglow, who run a day out for the elderly in aged care, every fortnight, on a Wednesday at the Seniors Citizens Hall. Roy also dedicates some of his spare time to Blue Care. Geoff has been a part of Rotary for 30 years, including a spell as president. There are many other volunteer roles that Geoff has taken on including air sea rescue, communications signaller for the Army Reserve. He is also a long-time instructor in the State Emergency Service. 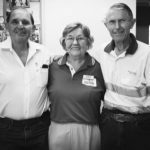 Margaret also volunteers one day per week at Eden Vale Aged Care helping the residents with activities and at Meals on Wheels once per week organising the meals that are delivered to the elderly in the community. 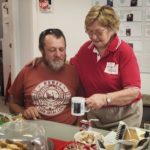 Margaret said they really need volunteers at Meals on Wheels so if anyone is interested please contact them on 4971 4720. Margaret used to donate but once again, “when you get older, they don’t want your blood anymore.” Margaret retired from nursing at the hospital when she was 62 and didn’t know what to do with her time, so she headed to the blood bank to volunteer. Now retired, Jenny and has been a volunteer at the blood bank for 6 years. 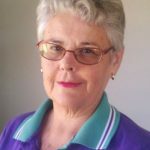 “I really enjoy getting out and keeping busy.” Jenny is also the treasurer for the Hospital Auxiliary, whom meet twice per month to organise fundraising to help purchase equipment for the hospital. “One year we raised enough to purchase a resuscitation machine for little people. Our next fundraiser is a mini cent sale, fashion parade and home-made morning tea on the 28th March.” Tickets are available from Noni B, Priceline and Gladstone Optical. Jenny has also been on the Harbour Festival Committee for 23 years. 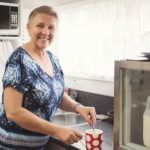 Doing everything from organising the Queen pageant to serving in the fish and chip stall, she said “I tried to step away for a little while once, but that didn’t last long. 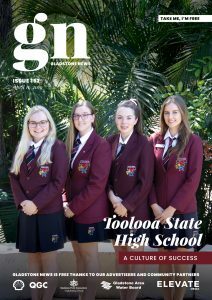 I just have to be a part of it.” Jenny has been nominated to carry the Queen’s Baton for the Commonwealth Games on March 24. She will be the ‘last leg’ at East Shores. Jenny would LOVE to know who nominated her, so if you are reading this…. Jenny is very intrigued and investigating. Although Meg is new to the blood bank, she is an appreciated help. She enjoys making the donors feel welcome and comfortable while making a tea or coffee. She said that volunteering her time here is relaxing and a great way to fill her free time. Lyndell started donating after her brother did and just thought that it would be a great thing to do. She has now been here for about 6 years. She helps support the donors after they have given blood, making sure they have eaten, hydrated and feel well before they leave. Now that we’ve met the volunteers, let’s hear from Kerry, one of the ladies behind the scenes at Gladstone’s blood bank. I asked Kerry, what kind of an impact do these volunteers have each day? 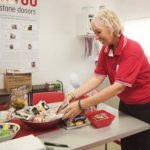 “Oh, my goodness, we are so lucky to have each day covered by a volunteer, some other centres don’t have that help,” she said. “Our volunteers here are amazing, they ensure the welfare of our donors post donation by keeping them hydrated, making sure they have something to eat and that they are feeling well before they leave the centre. They also alert our team if someone is feeling a little off, which is such an amazing help as we are busy trying to keep the donations coming in. Thank you to the Gladstone blood centre for having me in to meet a new volunteer each day and helping me to understand more about the importance of donating! I am off to book my plasma donation appointment now! To all the amazing volunteers that I have met, you are so much more appreciated than you give yourselves credit for. You make donating a much more pleasurable experience by just ‘being there’. THANK YOU for doing what you do and for being Week 8’s donating blood centre angels!! HOW CAN ONE BLOOD DONATION SAVE THREE LIVES? 1 – Red blood cells – Treating people with severe anemia, roadside, accident victims and surgical patients. Red cells have a shelf life of up to 42 days stored in the refrigerator. 2 – Platelets – Given to people with cancer and leukemia after chemotherapy, as well as trauma victims and those undergoing surgery. Platelets are stored at room temperature and have a shelf like of only 5 days. 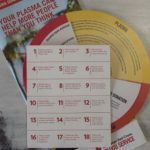 3 – Plasma – Plasma (Liquid gold) can be used to create 18 different life-saving treatments! Stored frozen, plasma has a shelf life of up to 12 months.